I found this in Tappan Square, the central park of Oberlin, folded up and perched on a snowdrift. At first it was hard to tell if this was a parody, with all the teenage angsty cliches. 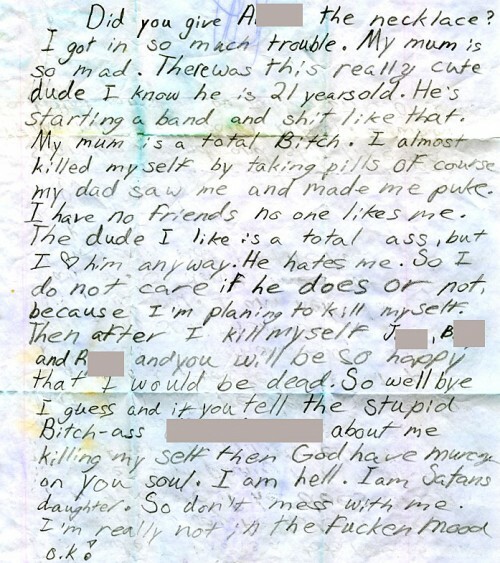 Though the suicide threats are a bit scary, they are overwhelmed by the absurd satanic claims. I hope you informed the authorities.